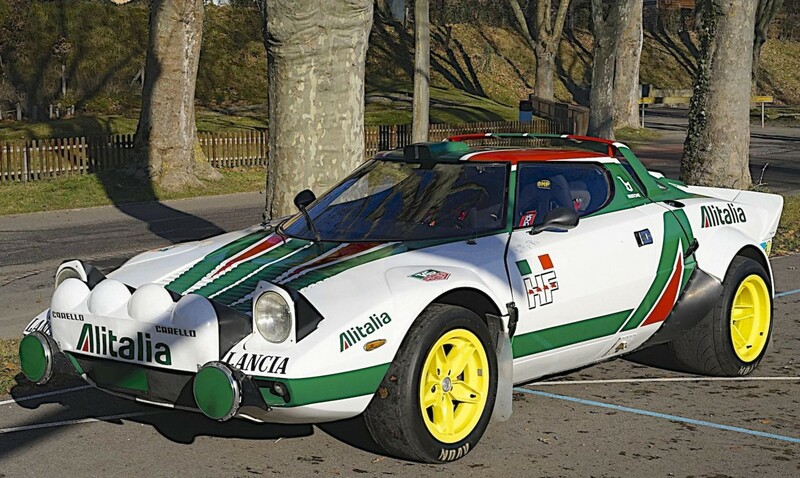 Okay, so maybe it’s not an actual Lancia works rally car sporting the most famous of rally car liveries, but it is a racing Stratos that has competition history that just so happens to sport that very same green and white Alitalia livery. The Stratos was the first purpose-built rally car from a major manufacturer. Yes, at one time, Lancia was a major manufacturer (they are lucky to still be around right now, as the current top brass at Fiat seems to have completely forgotten that they exist). In order to race the Stratos, Lancia had to build road-going versions, which it did – about 400 in total. It was a supercar in its day, powered by the feisty 2.4-liter V-6 from the Ferrari Dino. Depending on engine tune, it can put out between 190 and 320 horsepower. It might not seem like a lot, but the mid-engined, rear-wheel drive layout of this featherweight car makes it an absolute handful. I mean, the guys you see in old videos jumping these things over little humps on mountain roads are – and there’s no graceful way to say this – batshit crazy. At its limit (and on dirt or snow no less), this has to be one of the most difficult cars to drive that has ever been built. This three-owner car has known race history back to 1993, so its unclear if it was built as a competition car from new, or converted from one of the homologated road cars. Either way, the owner picked the right paint job. It should sell for between $370,000-$480,000. 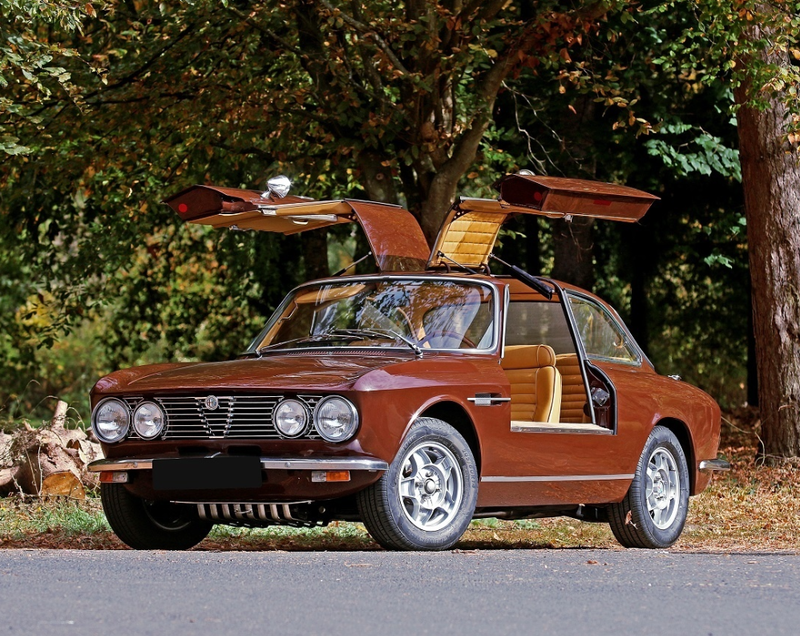 Click here for more info and here for more from Bonhams. When one thinks of Ferrari race cars, they think of Formula 1 or sports cars. Hardly anyone pictures rally cars. And yet, that’s what we have here. 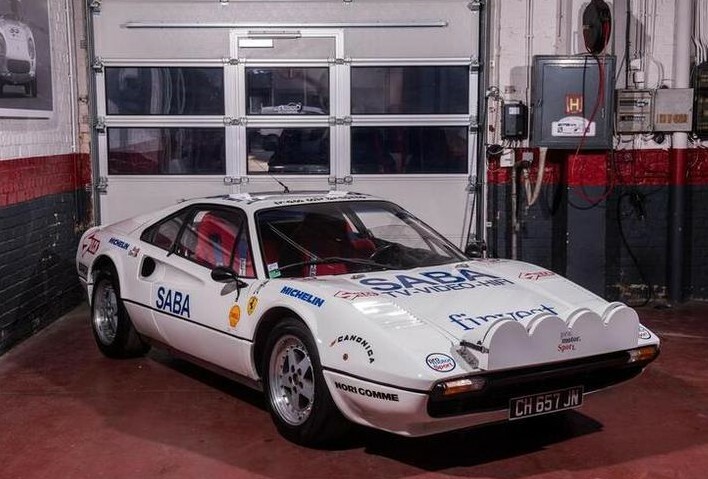 Not only a Ferrari rally car, but a Ferrari 308 rally car – one of the cheapest Ferraris money can buy today. But this car ain’t cheap. Let’s start with a little history… the FIA brought about Group B rally in 1983. Michelotto built and campaigned Ferrari race cars and they jumped at the chance race in Group B. But Ferrari didn’t want to build 25 homologation specials in order to take it racing. So Michelotto took standard road-going cars and turned them into rally cars. No specials needed if the road car is quick enough to be made into a racer. The engine is a 2.9-liter V-8 making 288 horsepower. This is a 1976 Ferrari (the 308 was fiber glass until 1977, when it became steel) that Michelotto converted to rally status in 1983. They only built four of them and this is the first and most successful of those four, having won the Spanish rally championship and coming in as “Vice-Champion” in Italy (which makes it sound like a proponent of gambling and drugs). The other three cars all had more powerful engines. You can pick up a road-going 308 for about $35,000. If you want a Michelotto Group B 308, be prepared to shell out between $760,000-$1,000,000. Yikes! Click here for more info and here for the rest of Bonhams’ Spa sale lineup.